I am not like most homeschooling moms. My oldest attended preschool at our church and learned all of his numbers, letters and sounds before we started Kindergarten at home. He was reading chapter books by October of his Kindergarten year. Simple chapter books, but still chapter books. 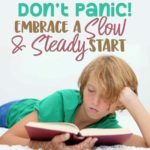 I was so impressed and thought, “Yeah…I can do this homeschooling thing!” With two other kids under the age of 2 and another on the way, I was actually feeling hopeful. Then our second child reached kindergarten age and I quickly realized he was not ready – for any of it. We do not do “preschool” in our house. It is all play and learning through play, so I thought he was ready to sit and learn, even if for 15 minutes at a time. He was no more ready to sit and learn than my 2 year old was to potty train. I was crushed. I had such high hopes that since we waited until he was a little over 5 (his birthday is in February), he would be ready by August when we started our school year again. This followed suit with our oldest daughter as well. I was beginning to think we needed to be more strict with this “no preschool” attitude and actually make them start learning around 3 years old, like a traditional preschool would do. Fast forward 3 years and here we are with my youngest daughter who is just now starting Kindergarten. We tried last year right after she turned 5, but it just wasn’t clicking. We have tried several different options with her, because nothing was helping. And finally, I think we have found the answer! 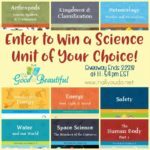 A couple of months ago I was introduced to The Good & the Beautiful through a blogger friend of mine, who has also struggled with her kids. She was so excited about it and how much her children had improved in just a few weeks. So, I thought, we’ll give it a try. Note: I received this product in exchange for an honest review. All opinions are my own. I was paid as compensation, but not paid for a positive review. You might wonder why I am saying “we” now. My husband being the primary homeschooling parent right now, as I work and we travel, he has worked through this curriculum with our children and we have talked at length about the plusses and minuses. So, you will see him in the pictures teaching instead of me. The opinions expressed are the conclusion of both of us. When I saw my friends review and heard first hand from her how much they liked it, I knew we needed to check it out. I was also intrigued that they offered their levels 1-5 in PDF form, free of charge. I mean, what company does that? We opted to receive the printed and bound products, because I knew my Kindergartner (and I) needed a consumable product. Not to mention that this curriculum is literally ready-to-go the minute it arrives. There is little to no-prep on most of it, save the cutting out of the flashcards and mini books. 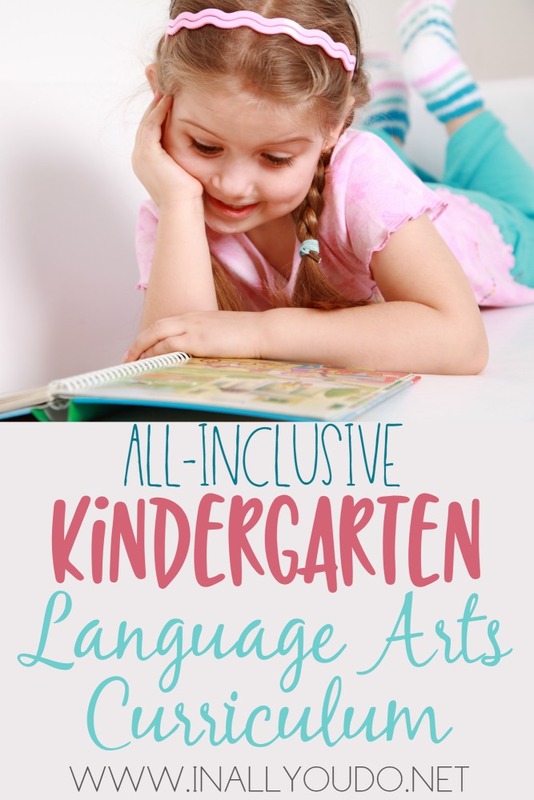 All Inclusive – This curriculum is all inclusive. It includes grammar, poetry & literature and spelling from the beginning. This is not just a reading program or a spelling curriculum, it truly is a Language Arts curricula. Starts with Vowels – So many of the curriculums we have used with our other children have started with consonants. While I understand their philosophy, I also see the value in not leaving vowels til the end. They can’t begin to sound out words without vowels, which is essential to reading. We also like the flashcards that come with the curricula. The same flashcards are used for K-2, but it is recommended to have a set for each child, so you can separate them in to “learning”, “mastered” and “not learned” per child. We appreciate that the flashcards are not just a letter on them, they include the dipthongs and different vowel sounds, so they are being introduced to them from the beginning. Easily done in a Group – Don’t think just because you have multiple children you can’t do this together. We do many of the exercises with our three middle children all together. Flashcards are done together, even though they aren’t on the same level, this helps the younger one(s) see what the older one(s) is/are doing. Mini Books are done together. The older one reads his book aloud, so the younger ones can hear and so on down the line. This helps introduce them to words and sounds they may not be familiar with, which only increases their learning. The poems and readings are also done together. Being a pastor, my husband loves to show how God is present in everything, because he made everything. Even though this is truly a no- to low-prep curricula, if you take a few extra minutes to read through the literature passage for the day, you will likely see a link to a passage of Scripture in the Bible, that you can then use to bring Bible in to the lesson. This, of course, doesn’t have to be done, but it is possible. The Artwork – This might seem like a strange thing to appreciate, but it is so hard to find good, quality images in curriculum these days that abides by our somewhat strict family guidelines. We are very conservative Christians from our attire to our choice in television shows and movies to the music we listen to and the games we allow our children to play. The images are classic and timeless, almost like a Saturday Evening Post feel, which is refreshing. As with every curriculum, it can’t be completely perfect. However, the drawbacks we found are more personal preference than anything “wrong” with the program. Since we take a laid back approach to preschool and do not force learning until they are ready for Kindergarten, we found the Kindergarten curriculum a little advanced for our daughter. That’s not to say we aren’t using it, we are just modifying it a bit to fit where she is right now and to keep pushing her forward. The other drawback, if you will, is that it does take more time than most other Kindergarten programs. However, you are doing spelling, grammar, reading, literature, poetry and Bible if you add that, which is going to take you more time than just going through letters. This really isn’t a drawback for us, but it is worth noting, if you plan to be done with school quickly, this may not be the choice for you. However, if you want an all-inclusive, well thought out, easy-to-follow Language Arts Curriculum, I urge you to give The Good & the Beautiful a try. I like how it’s all inclusive with no prep time. And it’s God centered thanks for the chance to win. Those are my favorite qualities too! I have a mentally challenged son who has brain damage because of a illness when he was just 4 months old. He ran a fever of 106 for 2 weeks and it was only because the People of God prayed for him that he lived. Unfortunately the learning center of his brain was fried because of the fever. It has taken many years to teach his brain to use other parts of the brain to pick up the ball so to speak and help him learn. We were told he would not get past a 1st grade school level but now he can do high 2nd to low 4th depending on the subject and how much he likes that subject. Thank you for the chance to get this materials. I have been hearing so many compliments on The Good & the Beautiful Curriculum. Would love to try for my 1st grader! Thanks for doibg this giveaway. The fact that it is all inclusive. Even though I trained to teach secondary school, the thought of where to begin with my four year old scares me. It would be nice to have the language arts part ready for him for next year. I understand. It is totally different teaching your own children! Good luck! Sounds like a good curriculum for Kindergarten. I appreciate what you said about good color images. That’s one reason I chose the math program I did, because it looked colorful and fun rather than drudgery. There is no reason to have boring-looking materials for younger kids. Looks like a great curriculum! I think the things I am most excited about are that this includes phonics and no prep involved. This curriculum looks great! A friend told me about this but I didn’t really check it out before. Thanks for reviewing and recommending this! It looks fun, I like the classic illustrations. I love that it’s all-inclusive AND no prep! That is a homeschooling parent’s dream! I really like the fact that it introduces vowels first and is a Christian program. I like that it includes so many subjects with little prep time. And the fact that it is God-centered is definitely an added reason to like this. My youngest daughter (6 years old) is a free spirit who really connects with things through art, music, and movement, so I think this would be an excellent fit for her. I love that this combines multiple subjects. They will learn so much at once with a program like that. Awesome. This looks like a good curriculum. All inclusive and no prep would be a huge help. My oldest is a kinder and I am not in love with the language arts portion of our chosen curriculum. He is so bored! I cannot wait to check this out! Thank you so much for the chance to win this! It looks and sounds awesome! My daughter is in first grade and would love this! I have looked at this briefly before, but really need to download those first five lessons and try it with my son! I love that it is all inclusive with little to no prep time. I love that is is Christ centered too. Also, the pricing is reasonable for what you can get. I love the way this curriculum adds picture study, art and geography! That would be a great addition to my homeschool because every year I have good intentions, but art and geography always fall by the wayside by the end of our year. Wow – particularly excited about the “no prep time” aspect of this curriculum. Yes, please! I like everything about this program!!! WIth 3 kids the decreased prep time would be fantastic!!! This sounds like a great curriculum! I’m always struggling to find a good all-around language arts program for my 3 littles. I may have to try this one out! Thanks for the recommendation. I have heard so much about this curriculum! I love the fact that it’s open and go, since I have exactly 0 time to prep with two busy kids and a new baby! I’m also excited that it includes the arts and integrates art into language study. I love that the readers come with the language arts curriculum and that I don’t have to purchase a bunch of extra reading books. I also love how inexpensive it is!! I’ve been eyeballing this curriculum for months! It is everything I’ve been dreaming of for a language arts curriculum. Everything you need all in one. It looks to be thoughtfully put together and easy to use. I absolutely love the integration of such lovely art and how we are able to immerse ourselves in it! I love that the prep time is non-existent and the fab price! This sounds like a wonderful language arts program. I have been interested in it ever since I heard of it. I like that it is open and go and that it uses classic literature. I am excited about it being all inclusive. Plus I love that they teach good values and use good books. I am excited about it being all inclusive. Plus I love that they teach good values and use good books. It looks amazing. We are currently using two different levels for two of our daughters, and they are absolutely loving it! Now, we just need to buy a couple more levels for our other daughters. This is a wonderful curriculum! Thank you for this amazing opportunity to win a level. What a blessing this would be! I love the religious overtones and that it’s all-inclusive. We’ll be switching to this next year for most things. I would love to have this as part or our curriculum! I am homeschooling several young children and I am struggling to keep it all together. This would be such a blessing to have right now!!! I love that this curriculum is no prep! I often get bogged down in the planning and fail at the execution. This is a beautiful curriculum I would love to share with my kids. I have been looking at this program for awhile, and actually downloaded free PDFs, but having a physical copy to use would be wonderful! I also want to use the history program next year!